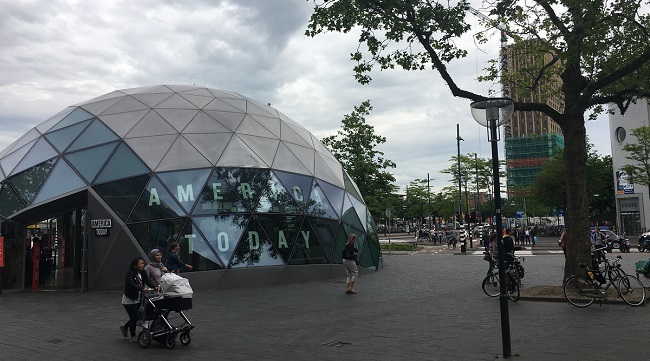 Eindhoven definitely is the shopping capital of the south. The city offers a wide range of shops, warehouses, specialty shops and design- and conceptstores. The great thing about all this is that de distances between these shops are really low and that the city offers 52 time opening of the shops on Sunday. The shopping in Eindhoven is done in the shopping streets were no cars are allowed. These streets offer great shops selling big brands and really good quality material. Rechtestraat & de Demer: the Rechtestraat flows straight into one of the most busy shopping streets of Holland which is called the Demer. This street offer some nice and handy shops like the Blokker, Amac, Apple, Etos and Hema. People who are looking for fashion also are on the right place with shops like Mango, Pull & Bear and the Sting. 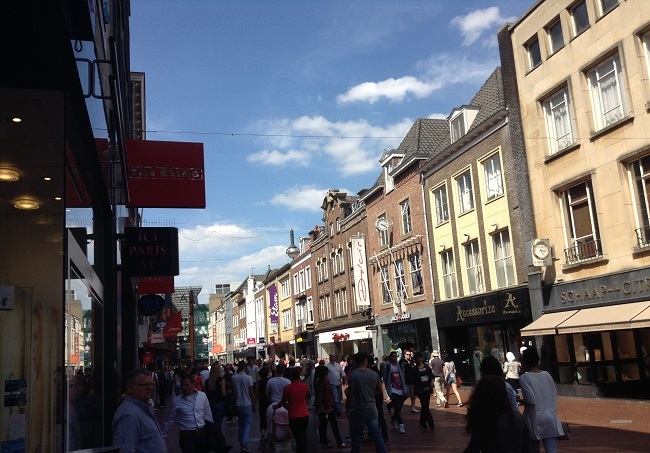 Another big shopping street in Eindhoven is Woensel XL and the Hooghuisstraat. This street offers more exclusive shops like Jaguar Mode, Alberto Bellini but also hip and trendy shops like Scotch & Soda and Vielgut. 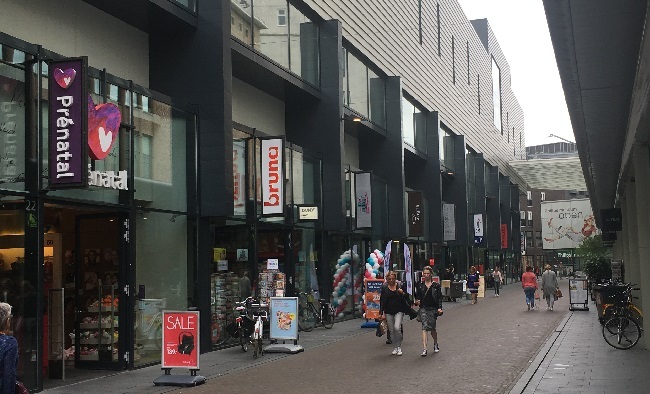 The Hermanus Boexstraat is the street between the train station of Eindhoven and the market. This is a nice small shopping street with a wide variety of shops with Primark as the biggest shop. 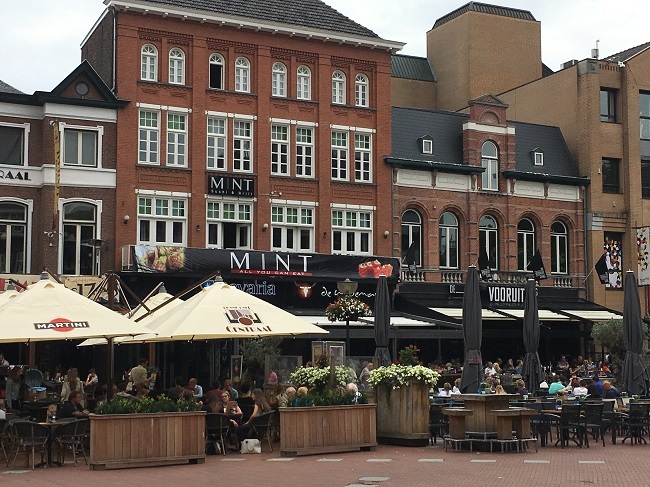 A new shopping area in the city of Eindhoven is the Admirant. The futuristic building on the pad of the Admirant is called the Blob which currently hosts Sissy Boy. Furthermore, shops like Piere, which is a book shop, Riviera Maison and Eddy’s are found in this street. Besides the shopping streets Eindhoven also offers a shopping centre. The shopping centre of Eindhoven is called the Heuvel and Admirant. The Heuvel provides everything when looking for fashion, lifestyle and beauty. The shopping centre offers more than 80 shops having clothes in different styles, money classes and children. The most known shops in the shopping centre of Eindhoven are H7M, Douglas, Costes, Supertrash, Hugo Boss , Amac and Apple. Then there is the Piazza Center. This center can be found right next to the train station. The center lies next to the Bijenkorf, which is a big warehouse. This modern Shopping center has 4 floors and hosts shops like Zara, Esprit, 5611, WE and Ici Paris XL. The last shopping occasion in Eindhoven are the Kleine and the Grote Berg. This is a more artistic part of the city and hosts specialty shops such as libraries and nice restaurants. Book now > a private tour with a lokal! Explore the city with a friendly and passionate local who will help you discover the city like a real Eindhoven resident.